Reuters UKBritish pay growth lagged inflation for the first time in two-and-a-half years in early 2017, underscoring the growing Brexit squeeze facing many households, official data showed on Wednesday. 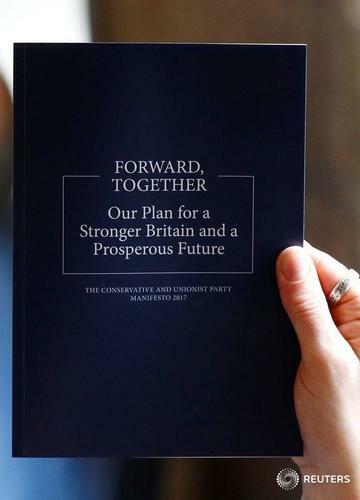 Reuters UKThe Conservatives will present their policy pledges to voters on Thursday ahead of a June 8 parliamentary election, Prime Minister Theresa May said on Wednesday. 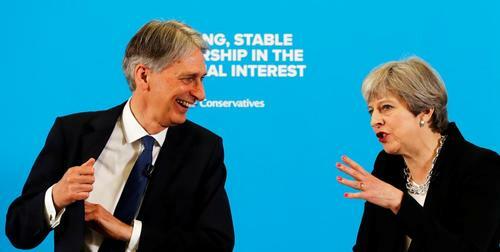 Reuters UKPrime Minister Theresa May endorsed Chancellor Philip Hammond on Wednesday after media reports of a deepening rift between their two teams ahead of a June 8 election. 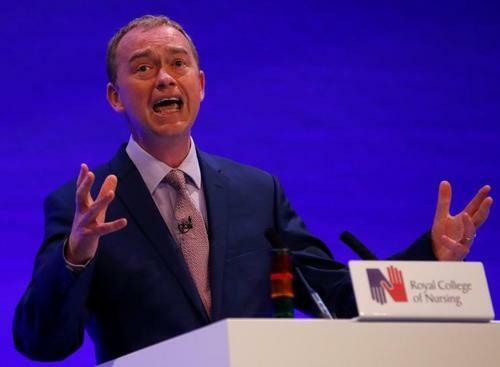 Reuters UKBritain's Liberal Democrat Party, trailing significantly behind Prime Minister Theresa May's Conservatives and the opposition Labour party, vowed on Wednesday to hold a second referendum on a final Brexit deal if it wins next month election. 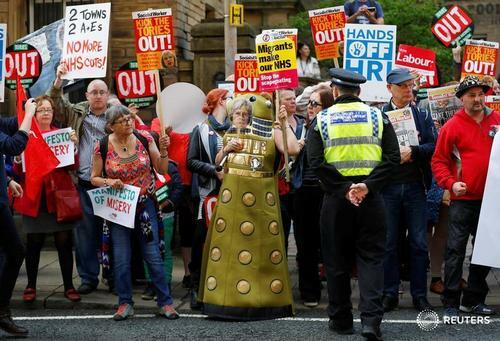 Reuters UKAndy Street's mayoral victory in Britain's second largest metropolitan area may give the best indication yet of just how far Prime Minister Theresa May's Conservatives are poaching traditional Labour supporters ahead of the June 8 national vote. Prime Minister Theresa May will pitch selected market intervention, looser fiscal policy and more welfare cuts as the tonic Britain needs to navigate Brexit when she unveils her main pre-election pledges. Support for British Prime Minister Theresa May's Conservative Party has slipped four percentage points ahead of a June 8 general election, but it still holds a big lead over the opposition Labour Party, according to a YouGov opinion poll for The Times. 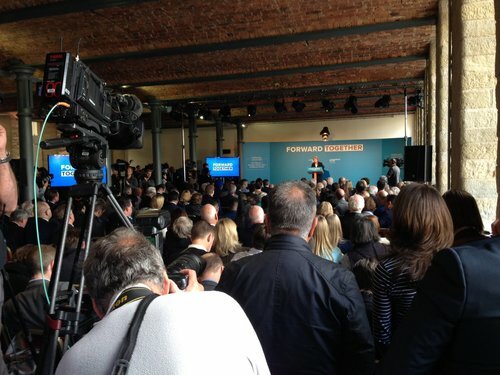 Made in Blackpool: A Tory landslide? Reuters UKPrime Minister Theresa May's Conservative Party has a 15 point lead over the opposition Labour party, down sharply from three weeks ago but still indicating a hefty majority for her, an Ipsos MORI poll showed on Thursday. British Prime Minister Theresa May said on Thursday that the days of Britain making vast annual contributions to the European Union will end, but there may be some specific EU programmes in which Britain would want to participate after Brexit. In a list of policy pledges ahead of a June 8 election, May said it might be necessary for Britain to make a contribution for access to those specific programmes. 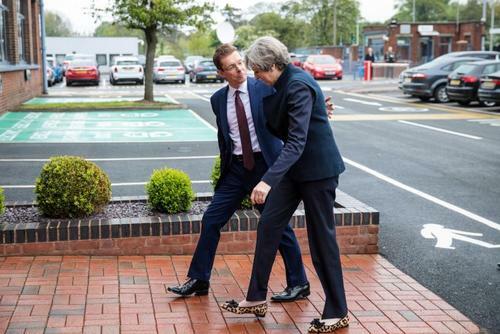 May also said she believed it was necessary to agree the terms of Britain's future partnership with the EU within the two years allowed under the Article 50 process, the formal mechanism for leaving the bloc. 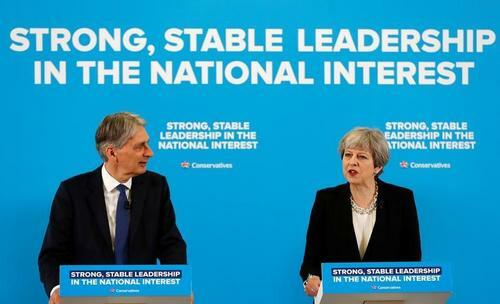 British Prime Minister Theresa May will aim to balance the country's budget deficit by the middle of the next decade, according to a manifesto document listing her Conservative Party's policy proposals ahead of a June 8 national election. The document said the Conservatives would stick with the existing fiscal plans of finance minister Philip Hammond who has said he will aim to bring down the deficit to 0.7 percent of gross domestic product by 2021/22 before wiping it out as quickly as possible after that. British Prime Minister Theresa May said on Thursday that now was not the time for another Scottish independence referendum and one should not take place until the Brexit process has played out. In a list of policy pledges ahead of a June 8 election, May said a new referendum on Scottish independence should not take place without public consent for it. 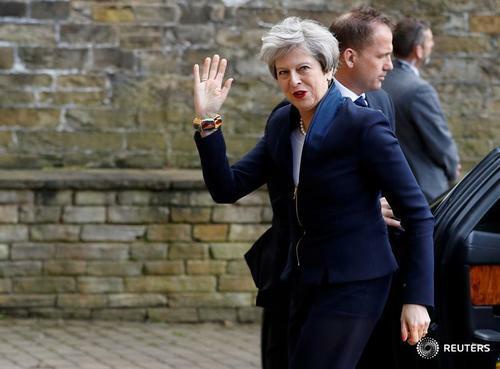 British Prime Minister Theresa May said she would tighten laws on company takeovers and would ensure any foreign group buying important infrastructure did not undermine security or essential services if she wins next month's national election. "We will require bidders to be clear about their intentions from the outset of the bid process; that all promises and undertakings made in the course of takeover bids can be legally enforced afterwards; and that the government can require a bid to be paused to allow greater scrutiny," May's Conservative Party said in its election policy document on Thursday. British Prime Minister Theresa May continues to believe that no Brexit deal would be better than a bad deal, according to her Conservative Party's pitch to voters ahead of the June 8 election published on Thursday. The election document also said the Conservatives "do not believe in untrammeled free markets" as it set out plans to cap rising energy costs for consumers. May had shocked the world of politics and financial markets with a speech in January that said no Brexit deal would be better than a bad deal - effectively acknowledging that Britain could resort to World Trade Organization rules for trade. Prime Minister Theresa May said on Thursday that when the current triple lock system governing the rates of state pensions expires in 2020, a new double lock system will be introduced instead. In a list of policy pledges ahead of a June 8 election, May said the double lock would mean pensions would rise in line with earnings or inflation, whichever was highest. 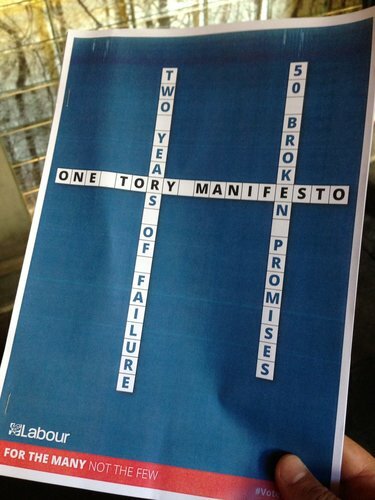 Theresa May's opening lines to launch her manifesto. 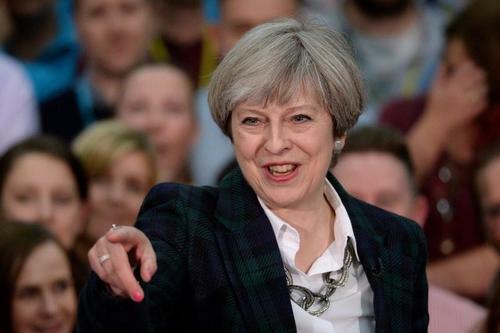 British Prime Minister Theresa May's Conservative Party received 4.1 million pounds of donations in the first week of the campaign ahead of a June 8 election, elections watchdog the Electoral Commission said on Thursday. That compared to 2.7 million pounds for the main opposition Labour Party, which is lagging behind the Conservatives in opinion polls. 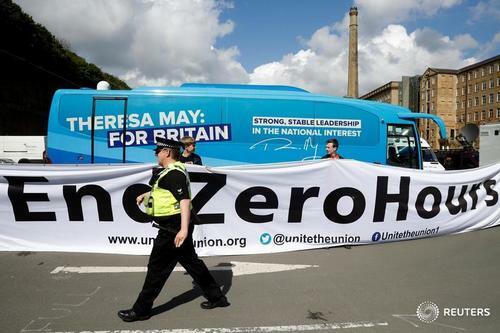 British Prime Minister Theresa May's Conservatives said on Thursday they would increase spending on the state-run National Health Service by at least 8 billion pounds over the next five years and hike the migrant health surcharge if they win next month's election. The Conservative election policy document also said it would prioritise the issue of the 140,000 nationals from other European Union countries who work in the health system during upcoming Brexit talks. Britain will punish digital companies, social media platforms and content providers which fail to take down content from the internet which breaks the law, the ruling Conservatives said in their policy document ahead of a June 8 election. "We will introduce a sanctions regime to ensure compliance, giving regulators the ability to fine or prosecute those companies that fail in their legal duties, and to order the removal of content where it clearly breaches UK law," the Conservative Party wrote in their manifesto. 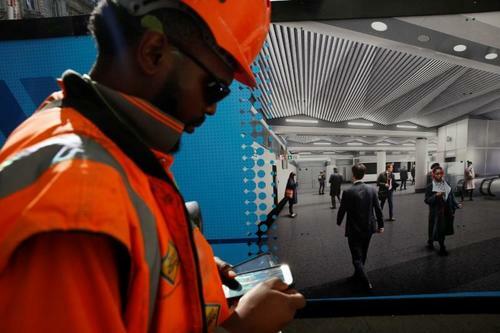 Britain's ruling Conservatives said on Thursday they would deliver 1 million more homes by the end of 2020 and a further half a million by 2022 in a bid to tackle a growing housing crisis and appeal to voters ahead of a June 8 election. "We will fix the dysfunctional housing market so that housing is more affordable and people have the security they need to plan for the future. 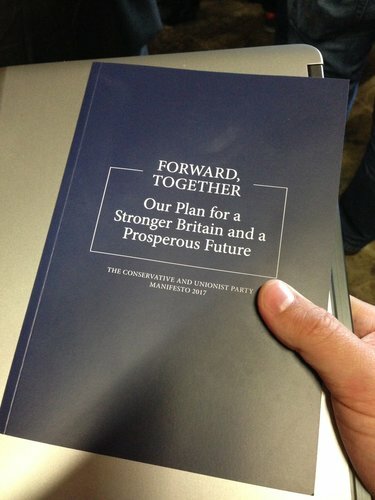 The key to this is to build enough homes to meet demand," the Conservatives said in their campaign policy document. Theresa May describes her vision for a strong workforce.